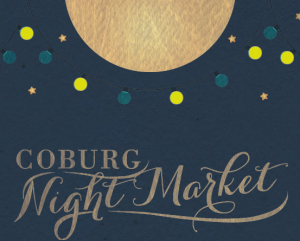 Join us from 5.30pm onwards this Friday at the Coburg night markets (near the swimming pool) to browse the artisan wares, partake of the culinary delights and listen to bands. Vendors include food from Vietnam, India, Argentina, Spain, Turkey, Germany, Mexico, and other. Food also comes in the delicious shapes of burgers, souvlaki, dogs, panzerotti, calamari, twisttos, arancini. But wait! – also dessert stalls serving sweets from gelato through to poffertjes. Later in the night we may ride the short distance to the Coburg drive in (weather / numbers / whats showing dependent) for a ride in movie. Movie tickets generally from $8 – $14 depending on numbers. For this, bring warm clothes and something to sit on.